Kurt Janetzky was a distinguished low-horn specialist and world-class musicologist who enriched the horn and chamber music repertoires with the editing and publication of over two hundred manuscripts, plus books and articles on the history of the horn. He often said, "If I should again be reborn on the earth, I would return as a hornist – and I want to play fourth horn again!" But his lasting legacy is to the horn repertoire and his treatises on the history of the horn. Janetzky was born in 1906 in Breslau, Silesia (now part of Poland). He studied in Dresden with Adolf Lindner and Ernst von Schuch, then played fourth horn in the Saxon State Orchestra and Dresden Opera under conductors Richard Strauss, Hans Pfitzner, and Karl Böhm. He played briefly with several other orchestras, then moved to Leipzig, where he was a member of the Leipzig Radio symphony Orchestra from 1946 to 1971. He was honored with the title Kammervirtuose in 1952. He made numerous recordings playing horn and lute with the Leipzig orchestra and with the early music ensemble Pro Arte Antiqua Lipsiensis. He was also a member of the Schaffrath Horn Quartet, which was noted for its performance of the Schumann Konzertstück. 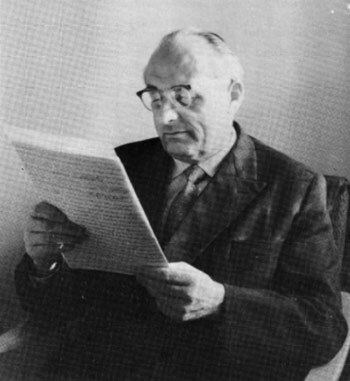 In 1972, after he had retired from the orchestra, Janetzky moved from the GDR (former East Germany) to the West, where he was able to publish and disseminate his manuscripts more easily. He corresponded extensively with international horn soloists from his apartment near Heidelberg. Janetzky found many manuscripts in small libraries and castles in the former GDR. Among the composers whose manuscripts Janetzky rescued from oblivion are CPE Bach, JC Bach, WF Bach, Boccherini, Danzi, Josef Haydn, Michael Haydn, Hummel, Leopold Mozart, WA Mozart, Nicolai, Pagnini, Anton Reicha, Schubert, Stamitz, Telemann, and von Weber. Aus der Werkstatt eines Hornisten:Gesammelte Aufsätze von Kurt Janetzky, published by Michael Nagy, Vienna, 1993. Janetzky's books are authoritative references. Cultural History of the Horn (Kulturgeschichte des Horns), with Bernard Brüchle, translated by Cecilia Baumann-Cloughly, published by Schneider, Tutzing, 1976. The Horn (Das Horn: Eine kleine Chronik seines Werdens und Wirkens), with Bernard Brüchle, translated by James Chater, published by Schott, Mainz, 1984 and Batsford, London, 1988 and Amadeus Press, Portland OR, 1988. A Pictorial History of the Horn (Seriöse Kuriositäten am Rande der Instrumentenkunde) Schneider, Tutzing, 1980. Janetzky was one of the first elected an IHS Honorary Member, in 1978. A tribute appears in the May 1995 issue of The Horn Call.